Like most other games in the series, Assassin's Creed Revelations will take place in more than one location. So where will Ezio be visiting this time around? Well, aside from Constantinople, he'll also be undertaking missions in the former Assassin fortress of Masyaf (which is in the first game) and, more interestingly, the Turkish region of Cappadocia. 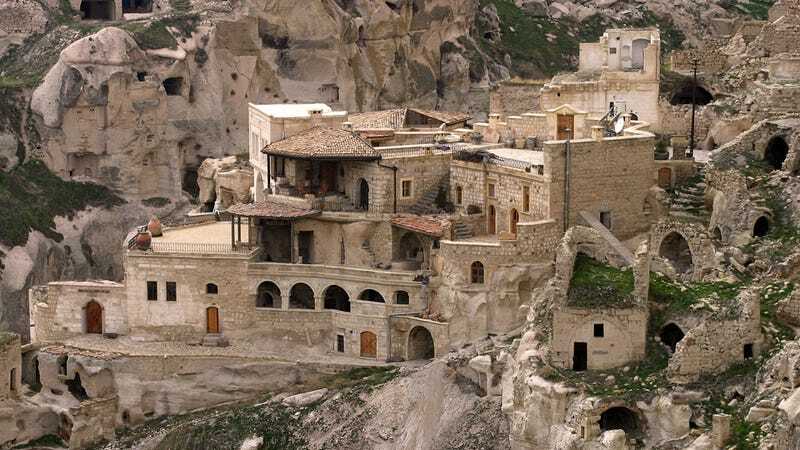 Cappadocia is a renowned historical location, both for its natural wonders and the fact many of its older buildings were (as pictured above) carved directly out of the stone the area's towns and cities rest upon. In this game, that's taken a little further, with the Templars (the series' enemies) having set up their own city beneath the rocks, which you'll have to infiltrate at some point in Ezio's journey.